Young Mary Yellen (O’Hara) arrives in the coastal town of Cornwall in 1819 to live with her aunt after the recent death of her mother. The coach carrying her refuses to stop near Jamaica Inn, stranding her miles away (in a scene reminiscent of Renfield’s trip to Castle Dracula). Mary walks up to the stately home of Sir Humphrey Pengallon (Laughton), the local squire. The portly, charming Sir Humphrey accompanies her to the Inn, where she encounters Aunt Patience’s sadistic, lusty husband Joss Merlyn. Through a crack in the floorboards, Mary discovers Joss is the leader of a band of pirates, “thieves, smugglers, and cutthroats”, who are planning on hanging suspected traitor Treherne. Mary cuts him down from the rafters and the two make their getaway to Pengallon’s estate. Unbeknownst to the pair, Pengallon is in cahoots with Joss and his murderous bunch, the brains behind the outfit, and quite mad to boot! Deceiving Mary and Treherne (who’s in reality a member of the Royal Navy sent to investigate the wreckers) at first, Pengallon shows his true colors and attempts to flee with Mary in tow. Can the madman be stopped in time? 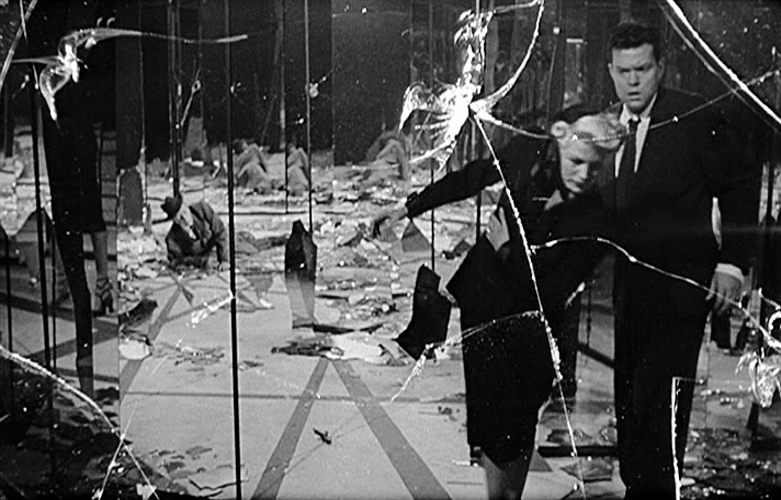 Charles Laughton and Alfred Hitchcock butted heads (and egos) making this film. 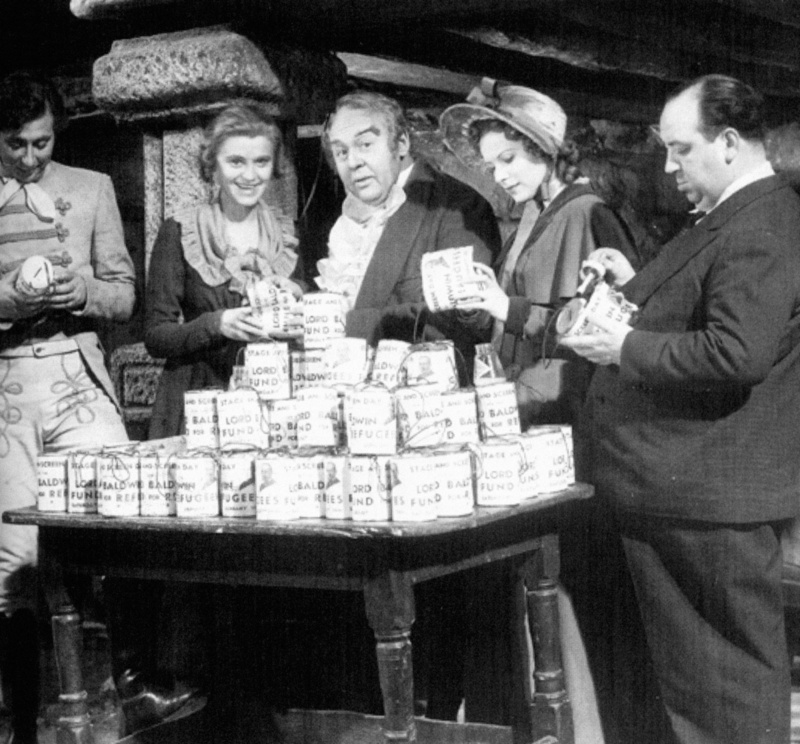 The original Daphne DuMaurier story had Pengallon as a preacher, but Laughton had it changed and demanded more screen time. Hitchcock balked, but since Laughton was producer of the film, he got his way. 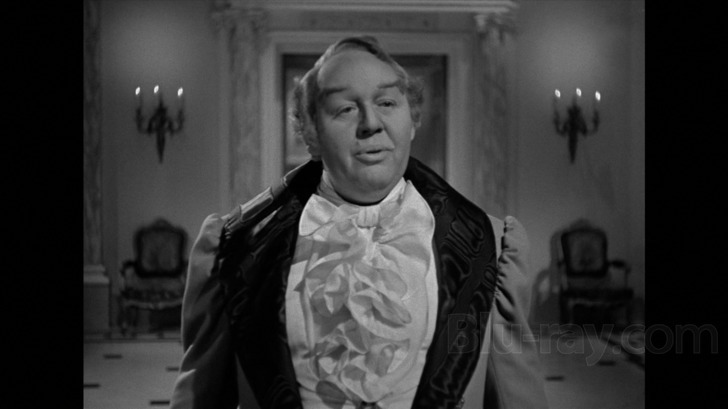 Laughton’s Pengallon is at turns coy and cruel, bellowing at his manservant, charming with Mary, and mincing about to his own tune. Hitchcock and author DuMaurier weren’t pleased with the changes, but it’s a grand performance by a grand actor and he dominates very scene he’s in. Laughton got his way, but it’s still unmistakably a Hitchcock film. 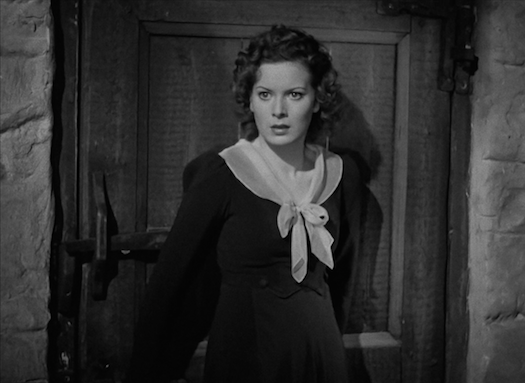 The suspense is taut (even though Pengallon’s role as pirate leader is revealed early on), and the camera angles and use of sound have that distinctive Hitchcock touch. This was Sir Alfred’s last British film before moving to Hollywood to work with producer David O. Selznick on classics like REBECCA and SUSPICION, and an enduring career as The Master of Suspense. 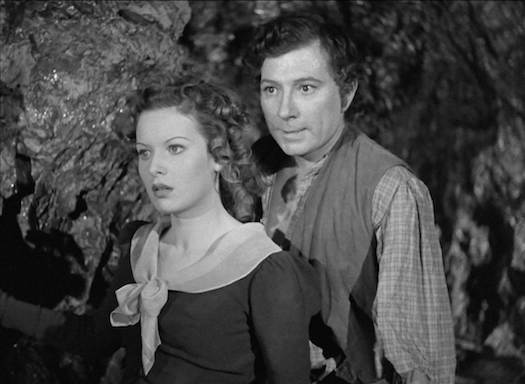 I do have one regret about JAMAICA INN, however…there’s no Hitchcock cameo! Maureen O’Hara had done two small film roles before Laughton gave her this break, for which the film world should be eternally grateful. Nineteen year old Maureen gives a fine performance as Mary, and travelled with Laughton later that year to costar in THE HUNCHBACK OF NOTRE DAME, zooming her to Hollywood stardom and a long, rich film career. There are some great British character actors on hand, chief among them Leslie Banks (Joss), the evil hunter Count Zaroff in the 1932 horror classic THE MOST DANGEROUS GAME. Banks appeared in Hitchcock’s 1934 THE MAN WHO KNEW TOO MUCH, and with Lawrence Olivier in HENRY V. Emlyn Williams plays the whistling pirate Harry. Williams was featured in THEY DRIVE BY NIGHT, MAJOR BARBARA, and THE MAGIC BOX, but gained more fame as a playwright, whose stage productions include NIGHT MUST FALL and THE CORN IS GREEN. Hero Jem Treherne is actor Robert Newton, who was more well-known for his screen villainy. Newton was Bill Sykes in David Lean’s 1948 OLIVER TWIST and Inspector Javert in the 1952 LES MISERABLES. But he’ll be forever remembered as Long John Silver in Disney’s 1950 production of TREASURE ISLAND. Whenever you hear someone doing that “Arrgh, me bucko” imitation pirate-talk, you’re hearing Newton! 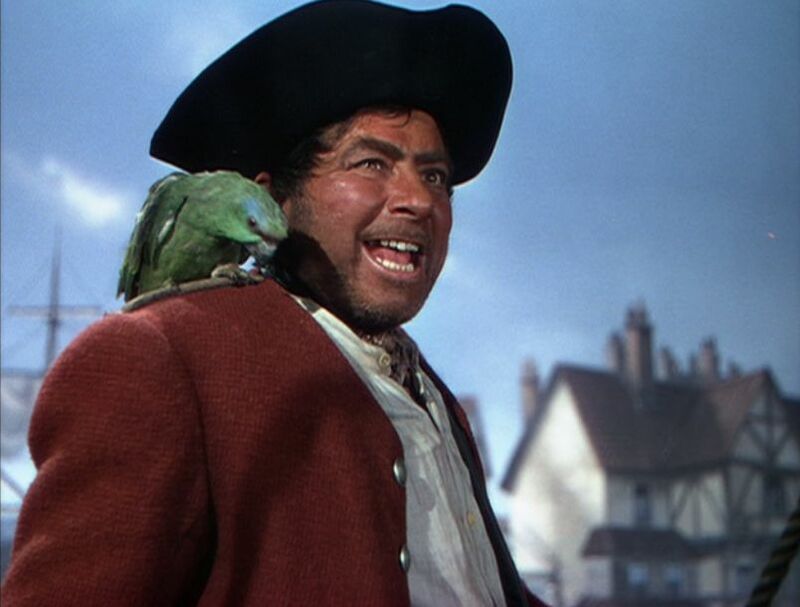 After playing another famous buccaneer in 1952’s BLACKBEARD THE PIRATE, Newton returned to his most famous role for a sequel, LONG JOHN SILVER (1954), and then portrayed the salty sea dog in a syndicated 1955 TV series. The British star died a year later of acute alcoholism. JAMAICA INN isn’t a bad film; in fact, I like it a lot. 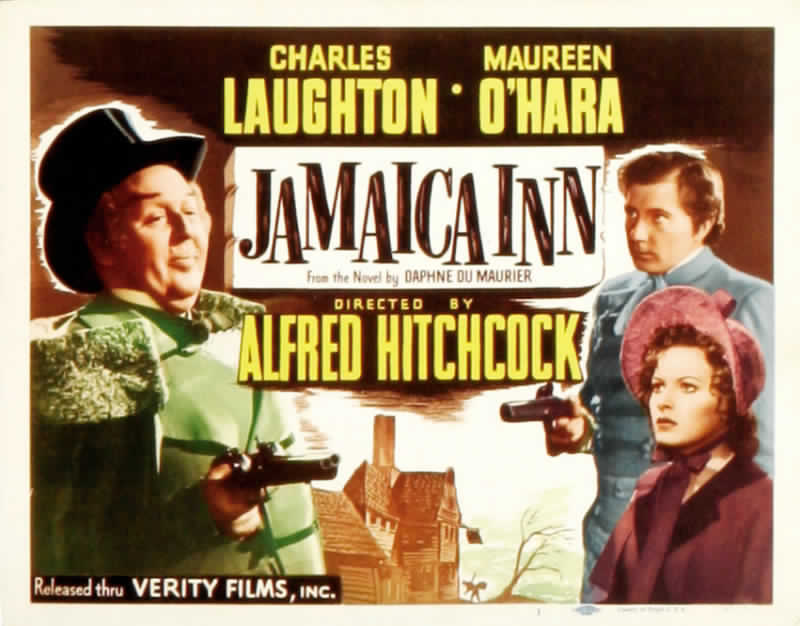 Behind the scenes squabbles and critical brickbats aside, I think it’s a fine showcase for Charles Laughton, a good look at early Maureen O’Hara, and uses that signature Hitchcock style to its advantage. My suggestion to you Dear Readers is simple: watch it and judge for yourselves. Didn’t know there was a film. Love the book (and any of Daphne du Maurier’s work) and generally like Hitchcock so will have to check it out. Plus I’ve been to Jamaica Inn, so it would be rude not to! You definitely have to give it a look. I’ve never read the book, so maybe I should check IT out! I watched this for O’Hara and Laughton, but I stayed with it for Newton.It’s not a bad film, but it’s not great either. Du Maurier’s novel is one of my favourite books and I think I’ll stick with the novel.